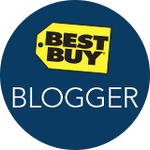 Precision Pro - Multifunction Digital Kitchen Scale Giveaway! 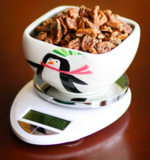 Presents The: EatSmart Products Precision Pro - Multifunction Digital Kitchen Scale Giveaway! 1 - Winner Holiday Contest and Sweeps is happy to the the opportunity to have reviewed the EatSmart Precision Pro -Multifunction Digital Kitchen Scale. I have also been given the opportunity to provide one of you the chance to win one of these terrific Scales. Being a Diabetic it is very important to make sure you are eating the correct amount of food in each meal. The EatSmart Precision Scale gives you accurate readings each and every time. The EatSmart Precision Pro Digital Kitchen Scale is a versatile multi-function home appliance. Designed to be highly accurate and aesthetically pleasing, the Precision Pro is manufactured to the highest quality specifications. 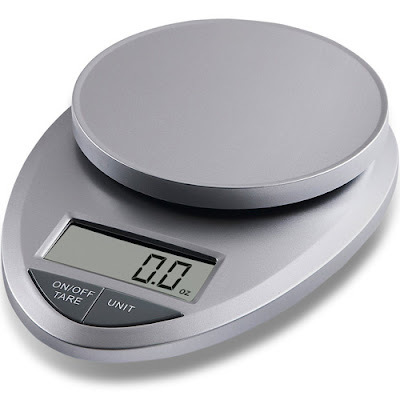 Weigh items up to 11 lbs quickly and accurately, with results displayed in four different units: grams / ounces / pounds / kilograms.For cooks - Weigh food items directly on the scale platform or utilize the scale's tare (zero) function, which eliminates the weight of a plate or bowl and makes cleanup a snap. The high resolution screen provides easy viewing angles on any kitchen counter and the five rubber feet eliminate sliding. Additionally the three minute auto-turnoff feature ensures that you will never again lose your measurement in the middle of your recipe prep!For Weight Loss Goals / Disease Management - The Precision Pro is ultra accurate, precise to .05 ounce / 1 gram increments and perfect for calorie or carbohydrate counting. The scale now includes a FREE EatSmart Calorie Factors book for easy calorie counting (simply multiply the grams of food by the calorie factor in the book)! Stop guessing about portion sizes and start living a healthier lifestyle today.Best of all, the Precision Pro's economical price makes it a phenomenal value as well. Get yours today!100% EatSmart Guaranteed Product Satisfaction. Customer satisfaction is our highest priority. 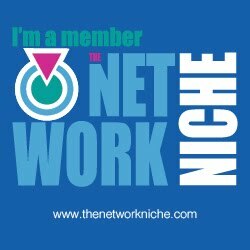 Contact us via phone or email anytime for support with our products. 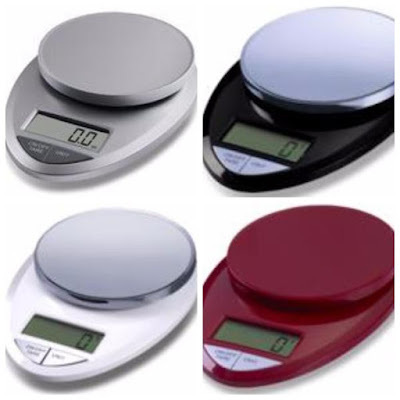 These scales come in a assortment of colors, Silver, Black, White and Red.